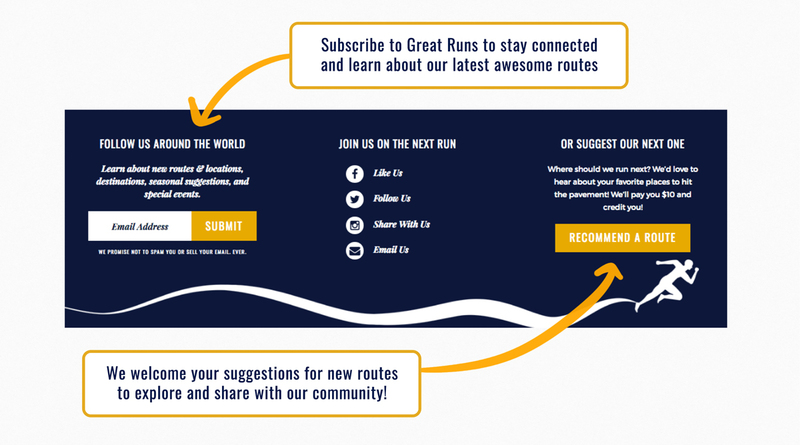 Here’s our handy-dandy guide on how to use Great Runs. 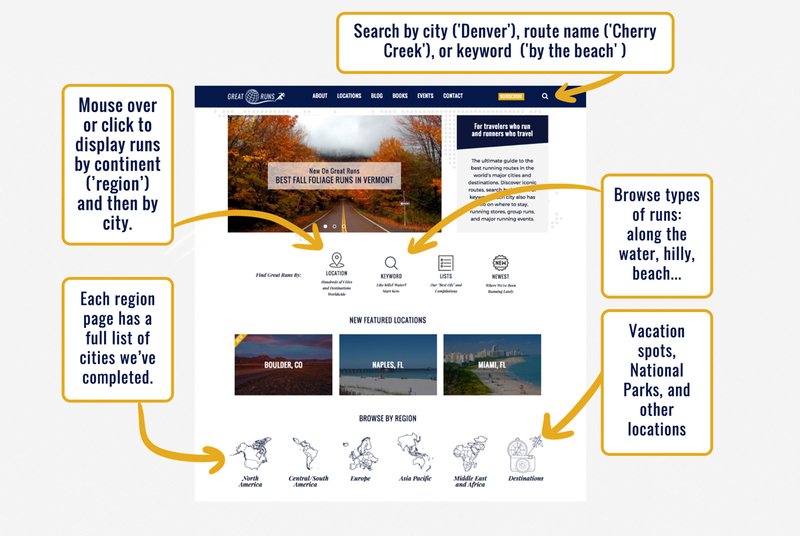 The main layout from the home page is to find locations or types of routes. 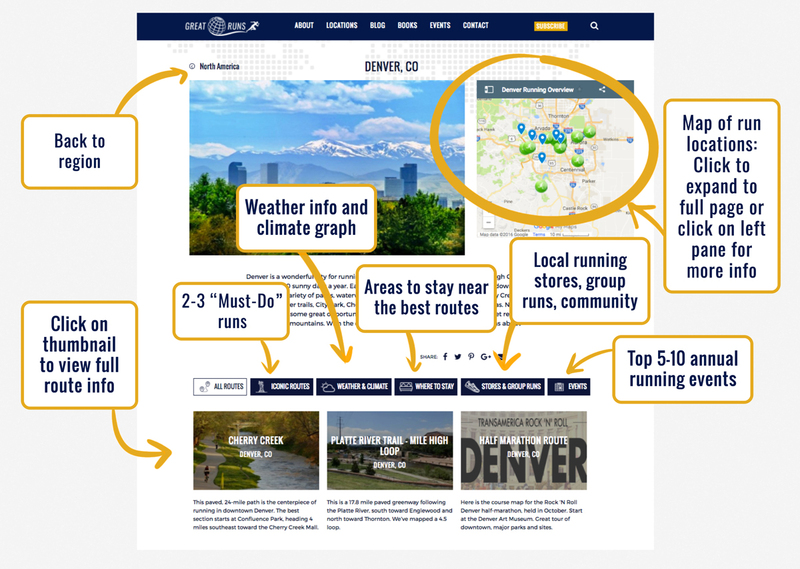 Each city has a home page, listing the principal routes and other essential info. 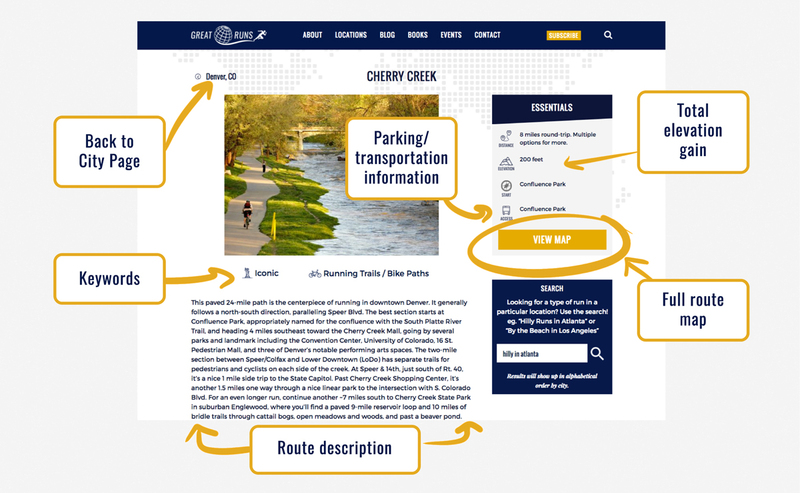 Click on the individual routes for details – description, essentials, maps, & more. 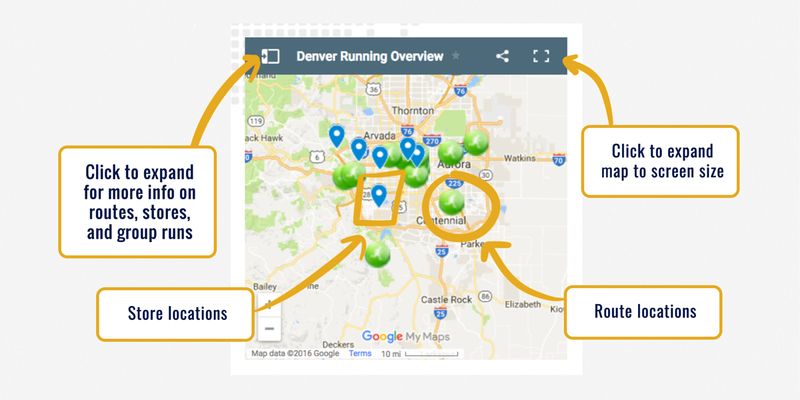 We’ve used Denver as an example city for our navigation guide. And by the way, the site looks great on a phone or tablet!